To aid the wellbeing of all pupils at Ark Oval we offer a variety of ways to help them feel safe and supported at all times. We have a rolling start to the school day developed through the experience of what make some children feel anxious and agitated in the morning. Our doors open for pupils at 8:20 am with parents greeted by a member of SLT on each entrance to listen to any enquiries or concerns. Children make their way independently to their class where they are welcomed at the class door by their teacher. With the day starting officially at 8:30 am we have found that this system adds a great sense of calmness to the school morning. At Ark Oval we take great care and process to resolve any conflicts which may arise between pupils. This is firstly done through children reporting any problems to a member of staff. All parties involved including any witness will then write an incident report (scribed if necessary) to get a fair reflection of the situation. A member of SLT or the mentoring team will then investigate and gather a verbal account from both sides. Children will then sit together, discuss what’s has happened and how it has made the other person feel. Appropriate sanctions if any will the be made based on our behaviour policy. To read our latest behaviour policy please click here. 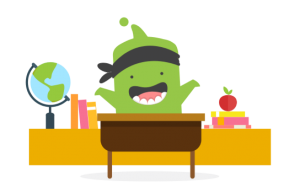 ClassDojo is a simple, safe classroom management app that helps teachers encourage students in class. At Ark Oval we want to help them focus on building important life skills such as working hard and participating. We encourage this by embedding the pupil reward system with the School Values. Although rewards are central to the encouragement of good behaviour, realistically there is a need for sanctions to register the disapproval of unacceptable behaviour and to protect the security and stability of the school community. Class Dojo is therefore also linked to the consequences and sanctions system and is used to highlight pupil bad choices throughout the whole day. Achievement Assembly is an opportunity for children to be publically rewarded for good work and/or behaviour. This is done by the class teacher nominating a pupil each week to receive a certificate for demonstrating significant effort towards a School Value.